On November 6, 2018, Missouri voters approved Amendment 2, the Medical Marijuana and Veteran Healthcare Services Initiative by a margin of 66% to 34%. It legalized marijuana for medical purposes. Basically, the amendment allows licensed physicians to recommend marijuana use to patients with any one of nine listed conditions and additional ones with a doctor’s approval. The listed conditions include: (a) cancer, (b) epilepsy, (c) glaucoma, (d) migraines unresponsive to other treatment, (e) chronic medical conditions that cause severe, persistent pain or muscle spasms, (f) debilitating psychiatric disorders, (g) HIV or acquired immune deficiency syndrome, (h) terminal illnesses, and (i) chronic medical conditions normally treated with prescription medication that could lead to physical or psychological dependence if a physician determines that marijuana could be effective and offers a safer alternative to the prescription medication. With the adoption of Amendment 2, Missouri joined the ranks of 32 other states that have legalized or decriminalized marijuana for purposes of state law. The federal law remains unchanged and in effect. It classifies marijuana under the Controlled Substances Act’s Schedule I—those drugs with “no currently accepted medical use,” “a high potential for abuse,” and a “lack of accepted safety for use.” Any one or more of the possession, cultivation, distribution, or use of marijuana violates the federal criminal code. At the low end of the penalty scale, the federal law classifies marijuana possession as a misdemeanor punishable by a maximum of one year in prison and a maximum fine of $1,000.00 for a first offense. For a second conviction, the penalties increase to a 15-day mandatory minimum sentence with a maximum of two years in prison and a maximum fine of $2,500. After two convictions, later convictions require a 90-day mandatory minimum sentence and a maximum of three years of incarceration and fines up to $5,000. Possession of larger quantities of marijuana infer more than mere personal use and the federal law imposes harsher sentences, such as manufacture or distribution of less than 50 plants or 50 kilograms of marijuana, which may subject a person to a maximum of five years of imprisonment and a maximum fine of $250,000. Possession of greater quantities of marijuana increases the magnitudes of both the prison sentences and the fines. For state law purposes, Amendment 2 allows eligible patients to possess, to cultivate, and to use marijuana legally. They may grow a maximum of six flowering plants in their homes. Such patients may also purchase four ounces or less of dried marijuana. Similarly, they may possess at least a 60-day supply of dried marijuana. The amendment further establishes authority for the state to tax marijuana sales and for its Department of Health and Senior Services (“Department”) to administer and to regulate the state’s medical marijuana program. Finally, it designated the tax revenues generated from marijuana sales beyond the program’s administrative and regulatory costs to providing veterans with health care services, job training, housing assistance, and other services. The Department has until June 4, 2019 to write the regulations for the state’s medical marijuana program. On July 4, 2019, the Department will start its acceptance of applications for identification cards. By the end of 2019, the Department must have issued licenses for dispensaries, manufacturing, and cultivation. Each of Missouri’s eight congressional districts must have at least 24 licensed dispensaries by then. Thus, employers have until the end of the year to plan for the impact of medical marijuana their workplaces. Questions that Amendment 2 Poses for Employers. 1. Must employers allow an employee using marijuana in accordance with the state’s medical marijuana program to work while high? No. Amendment 2 prohibits claims by employees against employers if they prohibit workers from being under the influence of marijuana at work. Similarly, it bars claims against employers if they take adverse action against employees, because they either work or attempt to work while under the influence of marijuana. 2. Must employers make a reasonable accommodation to an employee’s use of marijuana administered under the state’s medical marijuana program? No. If an employee requests an accommodation in the form of the employer allowing her to use marijuana while at work, the employer has the right to deny the requested accommodation. It, however, must consider whether the employee needs an alternative reasonable accommodation. The amendment identifies its purpose as “to permit state-licensed physicians to recommend marijuana for medical purposes to patients with serious illnesses and medical conditions.” Workers making an accommodation request to use medical marijuana would likely provide their employers with a copy of a physician certification in which the physician says that the worker “suffers from a qualifying medical condition.” The amendment lists such qualifying medical conditions and each of them would also satisfy the definition of a disability for purposes of either the Americans with Disabilities Act or the Missouri Human Rights Act. Thus, an employer that receives an employee’s request for an accommodation that would allow her to use medical marijuana at work has effectively received notice of the employee’s status as a person with a disability. Such an employer should then conduct an interactive process with the worker to determine whether she needs an accommodation to enable her to perform her job’s essential functions. If the worker requires an accommodation, the employer need only provide a reasonable accommodation that offers an effective equal employment opportunity to the worker. The employer lacks any obligation to implement the employee’s preferred accommodation. Therefore, employers can deny an employee’s request to use medical marijuana in the workplace as a reasonable accommodation. Depending on the circumstances, of course, the employer may still have a duty to provide an alternative reasonable accommodation. 3. How does Amendment 2 affect the right of employers to require applicants and employees to submit to drug tests? Not at all. Employers may still require applicants and employees to submit to drug tests. The results of a drug test, however, furnish only part of the basis upon which an employer should determine whether to reject an applicant, discipline an employee, or to fire him. Certain employers, moreover, must conduct drug testing because of their legal requirements. They may have construction contracts with federal funding or agencies that require the contractor to maintain drug free workplaces, which frequently include drug testing programs. In addition, federal regulations require private employers to conduct drug testing programs for safety sensitive jobs in the transportation, nuclear power, defense, and aerospace industries. These employers must continue to conduct their drug testing programs. 4. If an applicant or employee tests positive for marijuana during a drug test, how does Amendment 2 affect the employer’s right to impose discipline, fire a worker, or reject an applicant if she or he takes medical marijuana in accordance with the state’s medical marijuana program? The limitations of the test results means that employers should gather additional evidence before they take an adverse employment action against an employee that tests positive for marijuana. Such evidence includes the normally present signs of recent marijuana use that users typically exhibit: bloodshot eyes, lethargic demeanor, lack of coordination, confusion, lack of focus, problem-solving difficulties, inattentiveness, unwarranted laughter, euphoria, impaired judgment, and the lingering odor of marijuana smoke about the user’s person. Employers should train supervisors as to what telltale signs to observe and to document them when they observe them. The presence of both a drug test positive for marijuana and the observance of such additional telltale evidence by a supervisor in combination can then provide evidence of the employee’s having been under the influence of marijuana shortly before he submitted his urine specimen. 5. If an employer fires an employee for marijuana use while at work will a physician’s certification of the employee’s suffering from a qualifying condition enable him to collect unemployment compensation benefits? Currently unknown. The unemployment compensation law makes workers who commit misconduct in connection with their work ineligible for benefits. Amendment 2 lacks any text that addresses whether an employee using medical marijuana while at work commits misconduct. Ultimately, an appellate court will interpret the interplay between the unemployment compensation law and Amendment 2. It could find that while the employer has the right to terminate an employee’s employment because of his use of medical marijuana while at work that such use by a worker with a physician’s certification of his qualifying condition in a non-safety sensitive job does not involve misconduct. 6. Will a drug test result positive for marijuana administered to a worker less than 24 hours after she suffers a work-related injury activate the 50% reduction in workers’ compensation benefits if the worker’s use of medical marijuana for the treatment of a qualifying condition causes the positive test result? Currently unknown. Neither the Missouri Workers’ Compensation Act nor Amendment 2 addresses how a worker’s use of medical marijuana affects the workers’ compensation statute’s 50% reduction in benefits and, in certain instances, forfeiture of benefits because of an injured worker’s consumption of either alcohol or non-prescribed controlled drugs. (Mo. Rev. Stat. 287.120.6). Appellate courts will eventually decide whether the use of medical marijuana in accordance with a physician’s certification of the worker’s qualifying condition exempts the worker from either the reduction in benefits or their forfeiture because of the worker’s use of marijuana while at work when her injury occurred. 7. May an employer discipline or fire an employee because of her use of medical marijuana during non-working hours and outside of the workplace? Currently unknown. Amendment 2 lacks any text that prohibits employers from refusing to hire, disciplining, or firing individuals that use medical marijuana outside of the workplace. The Missouri statutes, however, prohibit employers from taking adverse action against applicants and employees because of their use of lawful either tobacco or alcohol products off the employer’s premises and during the workers’ off duty hours. (Mo. Rev. Stat. § 290.145.) This law currently lacks any similar protection for an employee’s off duty the use of medical marijuana. Clever plaintiffs’ lawyers will argue that the statute states a strong public policy to protect employees against adverse actions by employers because of the workers’ use of legal products during their non-working time away from the employer’s premises. Either appellate courts or the legislature may ultimately accept that argument. 8. What else could go wrong for employers when workers have access to medical marijuana? Safety risks and unfitness for duty. The law imposes duties on employers to exercise reasonable care to provide a safe workplace to their workers under both the common law and the Occupational Safety and Health Act. It also assigns a similar duty on employers to investigate the background of its workers to determine their fitness for their jobs and to remain knowledgeable of their workers’ fitness. Employers further incur liability to other persons if they suffer injuries because of a worker’s lack of fitness. The use of medical marijuana in a workplace can raise implications regarding workplace safety and the fitness of workers using medical marijuana to do their jobs, which produce legal claims for negligent hiring, negligent supervision, and negligent retention. The most obvious incompatibilities between the workplace use of medical marijuana and either enhanced either safety or fitness risks, or both, concerns workers whose job duties require them to operate either machinery or vehicles or to perform safety sensitive tasks. Employers need to implement policies that require workers that use medical marijuana, whether during or outside of working hours, to disclose such use to the employer. In other words, an employer’s policies should treat medical marijuana like they treat the use of narcotic or opioid medications by workers. Next Steps for Employers to Implement to Prepare for Medical Marijuana. As previously mentioned, it will take the Department until the end of 2019 to implement Amendment 2. In the meantime, employers should take the following steps to address the challenges that medical marijuana poses for them. Employers need to decide whether they will prohibit the use of medical marijuana in their workplaces. If employers will allow the use of medical marijuana to some degree in their workplaces, then they must establish guidelines that distinguish acceptable uses of medical marijuana from unacceptable ones. For example, employers could prohibit the use of medical marijuana under all circumstances by employees that perform safety sensitive duties. Employers should review their drug testing policies to determine whether they need revisions in view of Amendment 2. For example, if a policy makes a positive test for marijuana automatic grounds for disciplinary action or the termination of employment, employers should revise the policy to require being under the influence of marijuana, rather than a positive test result, as grounds for disciplinary action. Employers should develop training programs for supervisors to teach them the telltale signs of marijuana use and instruct them to document any such signs that they observe. An employer should expect requests for reasonable accommodations that involve the use of medical marijuana. They should develop a protocol for how they will conduct the interactive process with workers that request such an accommodation that includes their consultation with legal counsel during that process. 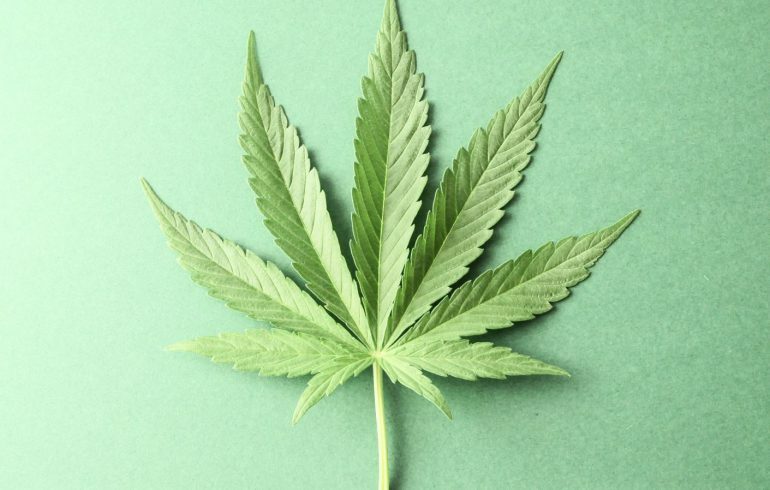 Employers must consider whether they will discipline an employee that they reasonably suspect of being under the influence of marijuana at work but whom they also believe used medical marijuana at home during non-working hours. Employers with operations in more than one state must know the law in each state where they operate with respect to marijuana use. The 33 states that have legalized or decriminalized marijuana to some extent vary widely in their approaches. Employers should consider consulting with their legal counsel to review and revise their employee handbooks and policies to make them compliant with all of the implications of Amendment 2.